What is a “food forest”? Imagine walking through the park and looking up at a canopy of fruit and nut trees. Around and below you, there are shrubs and many other types of plants, bearing fruits, vegetables and herbs free for the taking. These are the basics of a food forest. A Food Forest is an age-old agricultural strategy where people plant diverse types of edible, climate appropriate plants that form strong, mutually supportive relationships, creating a system that sustains itself over time. Food forests produce high yields of food, with minimal maintenance – humans design with nature to let nature work on her own. Like a healthy woodland ecosystem, a healthy food forest has multiple levels. Fruit and nut trees are the upper level, while below are berry shrubs, as well as a mix of other edible plants that benefit from the shade of the canopy trees. Some supporting plants are strategically included to attract beneficial insects for natural pest management. Other plants are included to make the soil healthier by providing nitrogen and mulch. By working with nature, we work less. In a food forest, humans help set the conditions where they, the plants, and local animals can keep the system going over time. What will this first phase be like when it matures and why should I go there? Click on the picture- it will tell you about bringing your kids and elders to the park to taste what’s there, reading informative signage on which plants might be medicinal and when they’re ripe enough to pick, enjoying art in public places, learn about how you can apply permaculture water-saving techniques in your own yard and just come enjoy a beautiful spot for a picnic! What is the difference between Festival Beach Food Forest and Festival Beach Community Garden? The Festival Beach Food Forest is a fence-less community space that borders the thriving community garden already established at Festival Beach. The Community Garden primarily offers individual plots for members, whereas the Food Forest offers common ground and public produce to be enjoyed and supported by the community at large. If you are interested in volunteering or applying for a plot at the Festival Beach Community Garden, you can visit their website at http://festivalbeachgarden.org/. Where did the idea come from for the Festival Beach Food Forest? 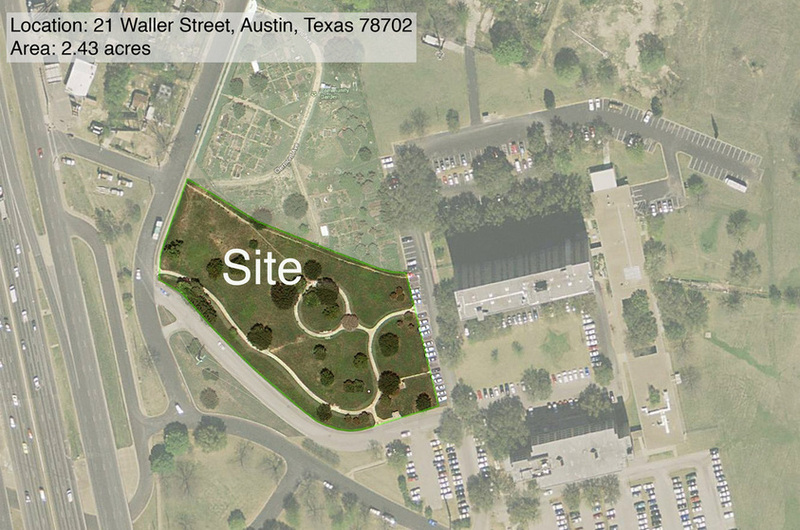 The Food Forest vision emerged from conversations about the future of the 90 acres of parkland on the northern shores of Lady Bird Lake, starting in 2012. East Feast conducted a series of workshops to reach out to the community and find out how they felt about having a food forest in their city. The vision has been widely supported and the East Feast Project Team is currently working in partnership with the City of Austin Parks and Recreation Department to create a permitting structure for this and future food forests. The East Feast vision has taken root in the hearts and minds of diverse neighbors within and outside the surrounding neighborhoods. It has turned into a movement that unites many long‐term neighbors with newer ones, green thumbs with social activists, and more. At the heart of this movement is a plan to establish Austin’s first publicly owned food forest in Festival Beach Park, as a way to protect and enhance the natural beauty, tranquility, and ecological health of the parkland, while also making fresh fruit and vegetables part of the daily experience of neighbors and visitors enjoying the parkland. You can contact us here and let us know how you would like to get involved. Pending permits and funding, we hope to have volunteer work parties near the end of December. Now is the perfect time to engage friends and neighbors in conversations about the food forest. The future of the project depends on the extent to which it is loved, protected, and nourished by the greater community. Can you describe the site of the Festival Beach Food Forest? How did you find the land for Festival Beach Food Forest? The land was identified as part of the Holly Shores Master Plan meetings. Elizabeth Walsh and Jodi Lane thought a food forest would be a good idea for the available 90 acres of parkland. Why use a public park instead of private land? A food forest could be anywhere, right? This one is extraordinary, because it will be planted in an Austin public park, making it accessible to all who visit. The City of Austin views the project as a pilot for other parks. There are many established permaculture projects on private land. Having a permaculture food forest on public land builds community, allows for greater diversity in use of public space, adds food security, conserves natural resources, and provides critical wildlife habitat in urban areas. How many kids can walk or ride the bus to the Food Forest? Based at the start and finish of the 21/22 bus line, The Festival Beach Food Forest and Community Garden are within one bus ride of 22 schools and 2 universities, including 10 in East Austin. Now imagine if in addition to a network of schools, the 21/22 also connected a whole network of food forests and community gardens anchored at those schools, or the 3 public housing projects and many parks running along the bus line. Now that’s a taste of a healthy local food system- where communities are growing, learning, and thriving together. How is the Food Forest project being funded? East Feast’s Fundraising Guild is currently accepting individual donations, applying for grants, and preparing to launch a crowd-funding campaign. Would you like to donate? We are currently recruiting new members for our Fundraising Guild. If you would like to get involved, please contact us. What is permaculture and why does it matter? Permaculture design emphasizes patterns of landscape, function, and species assembly. It determines where these elements should be placed in order to provide maximum benefit to the local environment with minimal input. The central concept of permaculture is maximizing useful connections between components and synergy of the final design. The focus of permaculture, therefore, is not on each separate element, but rather on the relationships created among elements by the way they are placed together; the whole becoming greater than the sum of its parts. Permaculture design therefore seeks to minimize waste, human labor, and energy input by building systems with maximal benefits between design elements to achieve a high level of synergy. Permaculture designs evolve over time by taking into account these relationships and elements and can become extremely complex systems that produce a high density of food and materials with minimal input. For more information about permaculture and permaculture projects in Austin, visit www.austinperm.com. How did you choose Urban Patchwork as your umbrella organization? Urban Patchwork is an established local nonprofit organization who’s mission aligns with East Feast. It makes sense to combine efforts instead of having the overhead of establishing a new nonprofit organization. Our relationship creates a synergy, where the sum total of our resources and contributions is greater than individual efforts.